Компания Brabus представила самый мощный и самый быстрый седан в мире – SV12 R Biturbo 800. По существу – эта модель является обновленной SV12 R, объем 5.5-литрового V12 би-турбо был увеличен до 6.3 литров. Кроме дополнительного объема, инженеры добавили новый коленвал, большие поршни, высокопроизводительные распредвалы и доработанные головки блока цилиндров. Кроме того, инженеры установили новый карбоновый воздуховод, новые турбины, четыре интеркуллера, спортивную выхлопную систему и новую программу для блока управления работой двигателя. Все это и принесло ни много ни мало 800 PS (788 л.с. мощности на колеса) и 1420 Нм максимального крутящего момента. К сожалению, по техническим причинам (какая трансмиссия сможет выдержать такие запредельные значения?) последняя цифра была ограниченна электроникой на отметке в 1100 Нм. Благодаря таким показателям этот мега-седан разгоняется до 100 км/ч за 3.9 секунды, а до 200 км/ч – за 10.3 секунды. Если вам этого покажется мало – вжимайте педаль газа в пол, и стрелка спидометра остановится только на отметке в 350 км/ч, причем этот показатель также ограничен электроникой. Для того чтобы сделать автомобиль устойчивым на таких высоких скоростях, Brabus оборудовал автомобиль аэродинамическим обвесом, высокопроизводительными шинами (Pirelli или YOKOHAMA), новым модулем подвески (уменьшающей клиренс на 15 мм), более производительными тормозами и дифференциалом повышенного трения. Полную информацию вы сможете найти в официальном пресс-релизе (ниже). 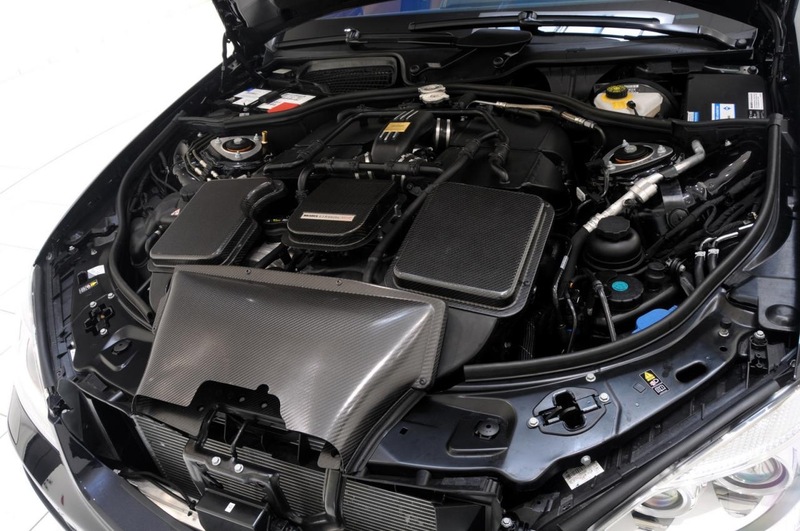 BRABUS SV12 R Biturbo 800: 800 hp (788 bhp) / 588 kW and a peak torque of 1,420 Nm (1,047 lb-ft) transform the Mercedes S 600 in latest BRABUS specification into the world’s most powerful luxury sedan. But that’s not all: With an electronically limited top speed of 350 km/h (217 mph) the exclusive four-seater also wins the ‘Blue Ribbon’ as the world’s fastest luxury liner. BRABUS (Brabus-Allee, D-46240 Bottrop, phone + 49 / (0) 2041 / 777-0, fax + 49 / (0) 2041 / 777 111, Internet www.brabus.com) rounds out the new high-performance standard with a sporty yet elegant designer suit, custom-tailored wheels with diameters of up to 21 inches, a high-performance brake system and customer-specific interior upgrades including a state-of-the-art "iBusiness" multimedia system with Apple components. Twelve-cylinder high-capacity engines in the S-Class look back on almost two decades of tradition at BRABUS. Powered by the SV12 R Biturbo 800 engine originally developed for the BRABUS E V12 "one of ten" the automotive luxury class now attains a new level of performance. Displacement of the V12 engine that normally powers the latest Mercedes 600 models is increased from 5.5 to 6.3 liters (336 to 385 cu. in.) The displacement increase is the product of a special crankshaft with longer stroke, precision-balanced piston rods, larger-diameter pistons and corresponding larger cylinder bore. 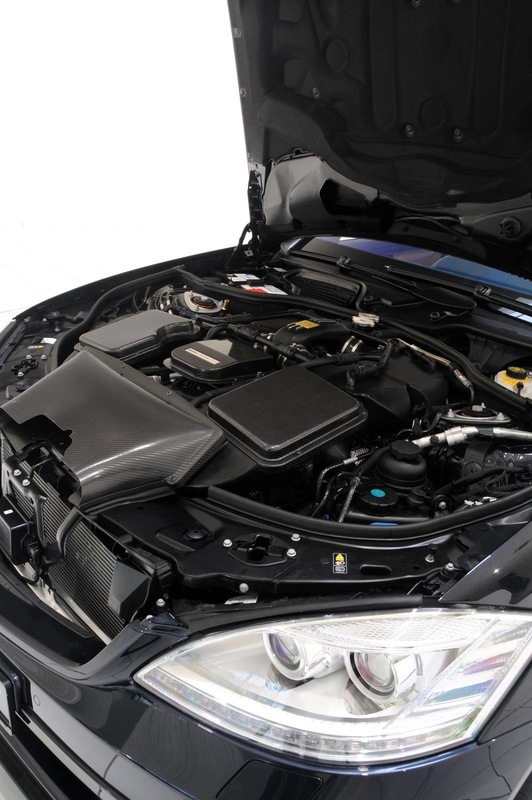 The inner workings of the BRABUS engine are modified further by high-performance camshafts and flow-optimized cylinder heads. 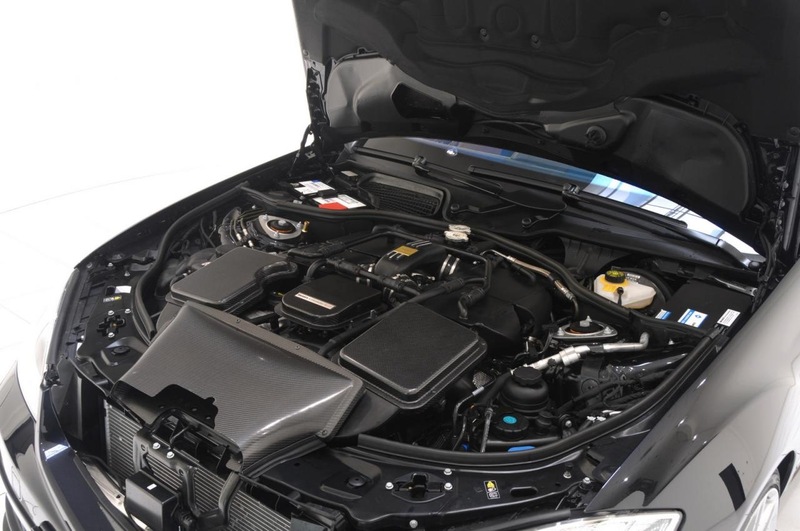 The new air intake was custom-developed to fit in the available space under the hood of the S-Class. The combustion air is routed through a special carbon-fiber system. Also newly developed was the BRABUS Biturbo system with two special high-performance manifolds with integrated turbine housings and high-performance turbochargers. The system also includes four water-to-air intercoolers. The BRABUS stainless-steel high-performance exhaust system with sport catalysts and four exhaust tips with BRABUS-characteristic design optimizes power yield and gives the engine a more dominant exhaust note. 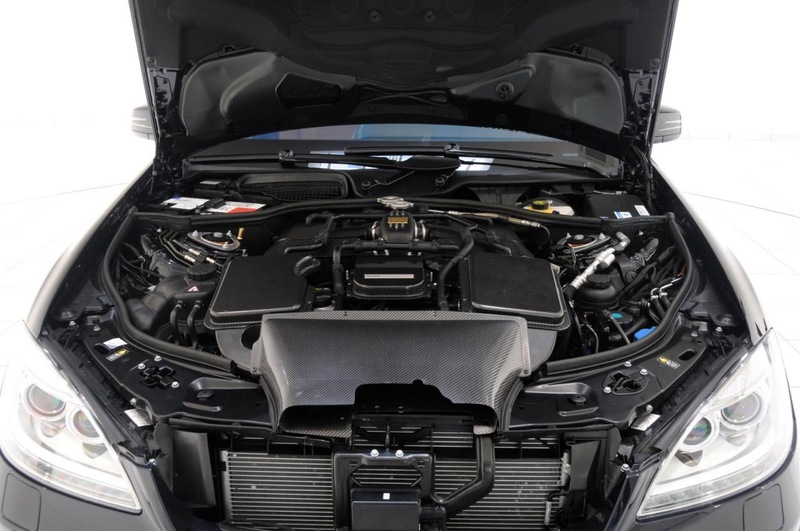 Newly calibrated engine electronics with precision-programmed mapping for injection and ignition ensure exemplary power yield and compliance with strict EURO V emission limits. The high-tech lubricants for the entire powertrain are supplied by technology partner ARAL. The SV12 R Biturbo 800 engine produces 800 hp (788 bhp) / 588 kW at 5,500 rpm and an even more impressive peak torque of 1,420 Nm (1,047 lb-ft), available from a low 2,100 rpm. For technical reasons peak torque is limited electronically to 1,100 Nm (811 lb-ft). Power is transferred to the rear wheels via a reinforced five-speed automatic transmission. A BRABUS high-performance limited-slip differential with a locking rate of 40 percent is available as an option. The extraordinary performance figures elevate the BRABUS SV12 R Biturbo 800 to the exalted position of the world’s most powerful and fastest luxury sedan. Acceleration times from 0 to 100 km/h (62 mph) of 3.9 seconds and of just 10.3 seconds to 200 km/h (124 mph) are as unmatched in this vehicle category as is the electronically limited top speed of 350 km/h (217 mph). To ensure that this level of performance can be enjoyed safely at all times BRABUS also significantly upgrades suspension, brakes and aerodynamics. These upgrades naturally also include tires capable of handling the speeds this car is capable of. The SV12 R Biturbo 800 can be equipped with BRABUS Monoblock wheels with diameters ranging from 19 to 21 inches. The largest version features wheels in size 9Jx21 on the front axle and in size 10.5Jx21 in the rear. These wheels are available in four distinct designs: Three-piece forged and high-gloss polished BRABUS Monoblock VI wheels with six double spokes, multi-spoke Monoblock E wheels, Monoblock S wheels with double-spoke design and especially exclusive Monoblock F PLATINUM EDITION forged wheels with cross-spoke design. All wheels are mounted with Pirelli or YOKOHAMA tires in sizes 265/30 ZR 21 in front and 295/30 ZR 21 on the rear axle. To further improve the already excellent driving dynamics of the high-performance luxury sedan BRABUS developed an electronics module for the Active Body Control suspension that lowers the ride height by some 15 millimeters (0.6 inches). Maximum deceleration is even more important than exceptional acceleration and thus the BRABUS high-performance brake system is part of the high-tech package of the SV12 R Biturbo 800. The brake features 12-piston aluminum fixed calipers and 380 x 36-mm (15.0 x 1.42 inches) vented and cross-drilled discs in front, and 355 x 28-mm (14.0 x 1.1 inches) discs and six-piston aluminum fixed calipers on the rear axle. BRABUS ensures extremely high directional stability with a sporty yet elegant designer suit developed in the wind tunnel. The BRABUS front fascia lends the S-Class an even more striking face while its sophisticated shape reduces lift on the front axle. The large central air inlet optimizes cooling of engine and front brakes. Integrated auxiliary headlamps and LED daytime running lights further improve active safety. The BRABUS front spoiler lip is made from clear-coated carbon fiber and attaches to the underside of the BRABUS front fascia. It further optimizes the car’s aerodynamic properties. For an even more extravagant appearance of the sedan BRABUS offers custom-tailored aluminum front fenders that replace their production counterparts. The exclusive character of these fenders is embodied by an integrated air vent made from clear-coated carbon fiber and a horizontal brace that spans the vent with embossed BRABUS signet and integrated LED lights. The latter are activated just like the ones in the BRABUS side sills via the keyless remote or by pulling on a door handle. For optimizing the airflow around the sides of the vehicle the designers sculpted BRABUS sill skirts that feature integrated entrance lights for added utility. They are activated by the keyless remote or by pulling on a door handle as are the blue-illuminated BRABUS logos integrated into the scuff plates on both sides of the vehicle. The BRABUS aerodynamic-enhancement concept is rounded out by the BRABUS rear spoiler lip, also available in a clear-coated carbon-fiber version, and the new rear fascia with centrally located reflector and custom cutouts for the BRABUS quad sport exhaust system. The underside of the rear fascia also features integrated LED lights which illuminate the ground behind the vehicle. They help avoid any unfortunate missteps into puddles or potholes lurking in the dark. BRABUS combines this high-performance technical feast with exclusive interior options that suit each customer’s personal taste down to the last detail. These options include fully leather interiors in any color imaginable, Alcantara supplements and exclusive wood trim sets which can be ordered in any desired color thanks to an innovative staining technology. 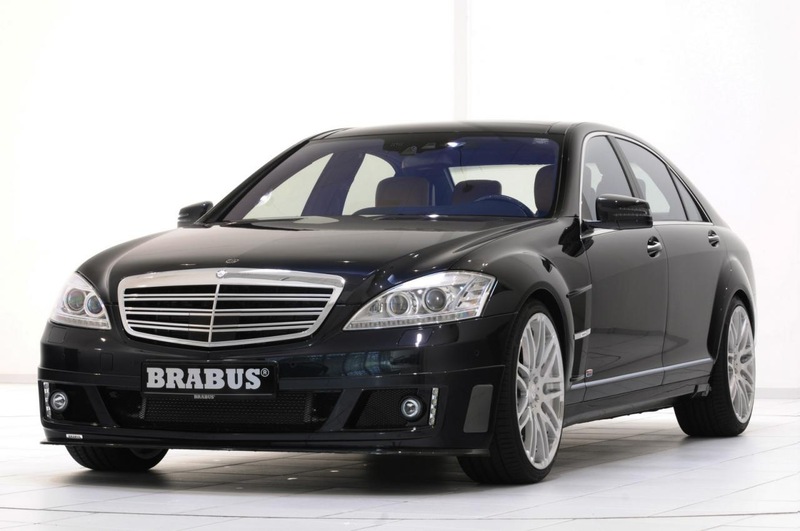 A particular BRABUS specialty is the creation of state-of-the-art multimedia equipment including the innovative BRABUS "iBusiness" concept, where the BRABUS specialists for the first time have integrated Apple components into the vehicle electronics of the Mercedes S-Class. Высококачественный профессиональный ремонт и обслуживание компьютеров и компьютерной техники. a skoko stoit etot monstr :/ ?